Malcolm Turnbull is one of the few Australian politicians to go on the attack after revelations about US spying on overseas citizens through internet and telecommunications services. The spying by the program called PRISM was revealed by the Guardian and the Washington Post on Thursday. Turnbull said Australians would be troubled by “large scale, covert surveillance of private data belonging to non-US citizens” held by Google, Facebook, Apple, Microsoft and Amazon. Turnbull said he thought Australians had always understood data housed on US servers was subject to US laws such as the Patriot Act. “But (PRISM) suggests there is extensive surveillance and interception of foreign citizens’ data without a court order and indeed without the knowledge of the internet companies themselves,” he said. With the move to cloud computing, the issue has increasingly profound implications for international relations. President Barack Obama skipped over those concerns when he admitted yesterday the Guardian and Washington Post stories were broadly accurate. Obama denied they were using tech companies’ information to spy on US citizens and people living in the US. But he did not deny they used the data from outside America. It was a short press conference with one question and the American journalists used the follow-up to ask was it okay to leak rather than the larger question of whether it was okay to spy on foreigners. There were two revelations wrapped up in the one. On Thursday the news broke the FBI had a secret court order gaining access to all of phone company Verizon’s logs on a daily basis according to Patriot Act (2001), 50 USC section 1861. Under 50 USC § 1861 the FBI can request “any tangible things” to get foreign intelligence terrorism information against non-US citizens or against US citizens if it doesn’t infringe their first amendment rights. But the second part of the revelation has more profound consequences worldwide. This is the NSA program PRISM “a covert collaboration between the NSA, FBI, and nearly every tech company you rely on daily.” Starting in 2007 under President Bush and renewed by Obama using another section of the Patriot Act, the law permits the targeting of customers of participating firms who live outside the US and also Americans who communicate with people outside the US. The FBI’s Data Intercept Technology Unit program has been extended to access the servers of Facebook, Google, Microsoft, Yahoo, YouTube, Skype, AOL, Apple and video chat company Paltalk. As with Verizon, the FBI passed on the information to NSA. According to WaPo, PRISM can “watch your ideas form as you type.” This deal gives the NSA full access – not just to the metadata but the message contents. Obama refused to mention PRISM by name. These were classified operations overseen by Congress and the Foreign Intelligence Surveillance (FISA) Court, “With respect to the Internet and emails, this does not apply to US citizens, and it does not apply to people living in the US,” he said. Facebook and Google denied involvement in the program. Steve Zuckerberg said they never received a blanket request or court order from government agencies asking for information or metadata in bulk and would fight aggressively if they did. Google boss Larry Page’s response was “WTF”. He said they never heard of Prism and they had never authorised large scale direct access to their information. Zuckerberg and Page have plausible deniability but someone in these organisations would have been aware of the court orders. A notable absentee from the list was Twitter which has a history of data request non-compliance, though its data is also publicly available. Obama is finding those trade-offs difficult to deal with, like Bush before him. Keeping 21st century Americans safe with an 18th century constitution is an impossible task. At least Americans have some safeguards against their government. The rest of us, as Malcolm Turnbull reminds us, have none. Auditor General Glen Poole has tabled a report in Queensland parliament critical of how the government implements computer systems. Among the many audits in the report “No 13 for 2010” is on Queensland Health’s troubled new payroll system. The auditor said Health’s problems were replicated in other agencies with their new payroll systems and there are some serious issues with the IT outsourcing process. The QBuild findings were consistent with what the auditor found at Health and they demonstrate “a critical need for improved system implementation skills within the public sector.” The original idea was whole of government implementation which was changed to a project governance arrangement in June 2009. After many years of design, development and testing, Queensland Health implemented a new payroll system on 14 March this year. Poor requirements gathering and system design meant there were 47 change requests to the original scope, delaying the project by 18 months and making the project three times more expensive than original estimated. Health spent $100 million on their new payroll system and associated whole of government initiatives. An auditor’s opinion was issued in Report No 7 in June 2010 after significant deficiencies were found in the completeness, accuracy and timely payment of employees when the system first rolled out. The audit found the deficiencies arose as a result of “weakness in internal control” and represented “material non-compliance with the prescribed requirements for the department to maintain an appropriate expense management system. The system was not ready to implement on 14 March however the Go Live decision was made after project partners IBM and CorpTech signed off the technical readiness while the business signed off the Acceptance Testing report. Because of the project’s complex outsourcing, significant contractual and commercial challenges would occur if the project was further delayed. Yet there were no contingency plans for business cut-over and no testing done in the production environment to determine whether the pays were correct prior to the first live payroll. Nor did anyone consider the impact of the new system’s changed business rules on business practice. The implementation problems were so bad and so widespread, Health had to establish a Payroll Stabilisation Project with KPMG. The auditor said the Stabilisation Project has ended and the project has transitioned into the Payroll Improvement Program. Health activities have resulted in a declining trend in payroll enquiries and outstanding transactions. Poole cautions “close monitoring of the transaction backlog and further improvement in the efficiency of business processes” was still required. The audit found the deficiencies had no material effect on the completeness and accuracy of the reported employee expenses. The recommendations for the QBuild project closely mirror what was recommended for Health. The first key point is a lack of a project management methodology including requirements for project reporting, including key risks and issues. Poole recommends government departments engage an experienced project manager with strong enterprise resource planning implementation experience. He said strong governance frameworks should be established to ensure separation between senior supplier and the project manager while suppliers should only be paid on deliverables satisfying acceptance criteria. Some recommendations may be unrealistic (eg “user acceptance testing should be completed prior to commencing user training”) however most is basic project management methodology. Given that experience of such methodology is plentiful at QH, CorpTech and IBM, it may be that too many cooks spoiled this particular broth. Serious questions need to be asked about the efficacy of outsourcing large government IT projects. Disclosure: this writer is a former employee of IBM and worked very briefly – and unenjoyably – on the QHIT project before tendering his resignation in April 2009. The hilarity of yesterday’s news was provided by Boing Boing’s Cory Doctorow who revealed the Minister for Digital Britain did not know what an IP address is. 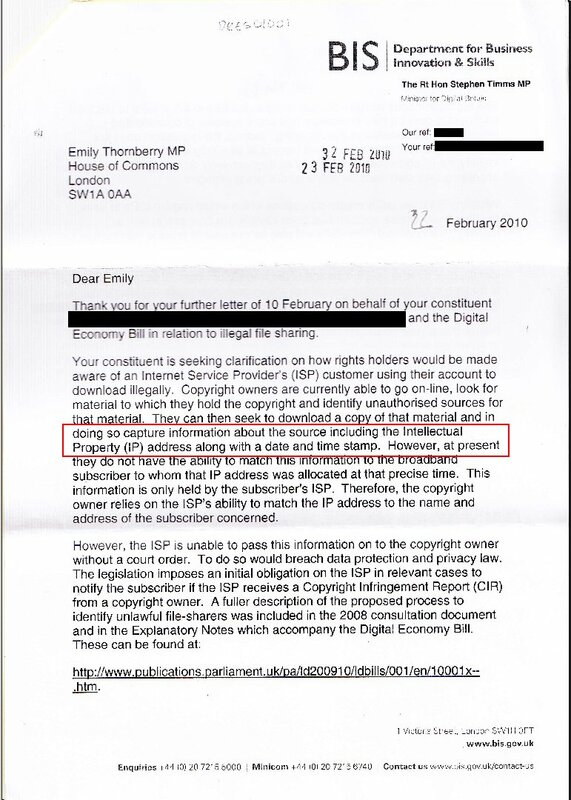 In a letter purporting to be from the Minister (Neither Boing Boing nor the Financial Times were certain it was genuine and Timms did not respond to an enquiry on the matter by Woolly Days) to a fellow Labour MP, an IP address is called an “Intellectual Property” address rather than a “Internet Protocol” address. 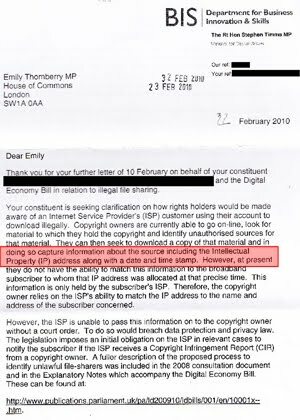 Such a mistake is forgivable for lay people, but not only is Timms the relevant minister who should know better, but he has also has been responsible for legislation called the Digital Economy Bill that seriously sets back the cause of a free and open Internet. In this context the error takes on a whole new meaning. The Digital Economy Bill was one of the last acts of the current British Government pushed through late on Wednesday night. It may have many long-lasting and unintended consequences. The bill is an extraordinarily wide-ranging piece of legislation affecting communications regulator Ofcom, Channel Four, Commercial TV, spectrum regulation, broadband, digital radio, video games, intellectual property (not Internet Protocol!) and internet domain registrations. MPs had just a few hours to digest its lengthy contents. All of it needs scrutiny but its recommendation on illegal downloads has generated the most controversy.As Gigaom says the bill tackles copyright infringement by forcing ISPs to cut off persistent file-sharers. In their rush to pass the legislation, it is looking leaky and undercooked and likely to have negative implications for digital freedoms. Among the concerns are the unintended consequence of forcing libraries and cafes to stop offering free Wi-Fi and it could also give the government the power to block sites like Wikileaks for hosting copyright-infringing material. By tackling those who download copyrighted content illegally, the bill also moves to suspend or slow down some web users’ connections. TechCrunch Europe have seen it all before. They used a Churchill pre-war speech as a metaphor for what is happening now “The stations of uncensored expression are closing down,” said Churchill in 1938 and TechCrunch argued these stations were shutting down again today. Just as in the proposed Australian legislation the onus will be on ISPs to police the new laws. TechCrunch says ISPs will have to send letters to their subscribers linked to copyright infringements and, after these warnings, suspend their accounts. Copyright holders can apply for a court order to gain access to the names and addresses of serious infringers and take legal action. Similar to the battle here in Australia over proposed Internet censorship plans, the British digital economy bill has lined up the tech savvy and civil libertarians on one side and mainstream politicians on the other. As in Australia, neither side has covered themselves in glory in an issue that does not resonate with the majority of the electorate. Politicians, with too many other issues to deal with, allow themselves to be swayed by party whips, vested interests and industry lobby groups. The tech savvy’s mobilisation of platforms such as Twitter starts by being a good focus of anger but ends up being a frustrated and vitriolic echo chamber of like-minded views. Politicians know these views fail to cut through to suburbia and the issues affecting marginal electorates. Those fighting the #nocleanfeed war in Australia should closely examine the way the Digital Economy Bill played out. An antipodean repeat is on the cards. “In old days men had the rack. Now they have the press. That is an improvement certainly. But still it is very bad, and wrong, and demoralising” (Oscar Wilde 1891). Today’s journalists work under a rubric of organisations commonly known as “the media”, shorthand for any intermediate agency that enables communication. In 1891 Wilde recognised the media as an improvement on the rack, if only barely. The media remains an imperfect communication construct and one that acts awkwardly in its dual-function of social institution and a business. These unresolved tensions between the church and state functions of media will most affect the journalism of the future. Technology is also affecting the business model. Product lifecycles have been reduced to 12 months in all high tech industries which means there is a continual struggle to stay ahead of the basics of any job. The mass media industries have grown fat and wealthy by bringing eyeballs to advertisers but that does not work well on the Internet. Nor does subscription work in an environment where the expectation is content is free. Rupert Murdoch’s News Corporation is trying to stick its fingers into this dyke but the dam walls will probably come tumbling down anyway. Media has become Big Media as the industry consolidates according to the natural nature of capitalism. The freedom of the press, as A.J. Liebling noted, used to be reserved to those who owned one. But the huge unregulated flow of user-generated content in blogs and social networks is changing that dynamic. Journalists who find themselves cast adrift from corporate downsizing may find salvation in the newer media. There is the additional systemic impact of public relations. Important actors such as governments have learned the skills of journalism to sidestep the media so their message is delivered the way they want it. Journalists pejoratively call public relations “the dark side” but PR practitioners (mostly ex-journalists) underscore the value of the craft. The information society is not merely an intellectual abstraction; it is an economic reality. Naisbitt says we are “drowning in information, but starved of knowledge”. News is public knowledge and journalism will always be required to turn it into a composite, shared, ordered and edited product people can use. Long-term journalism’s survival remains linked to finding an economic purpose to match the quenching of that thirst. 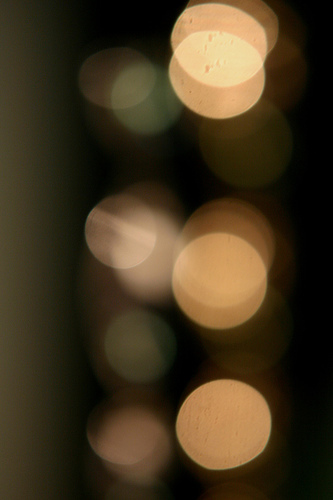 Journalists must find new ways of doing things and embrace creativity. Cyberspace scholar Lawrence Lessig says the Internet is the world’s greatest innovation commons. It has gone from being a technical curiosity to a major influence on every aspect of life for most people in developed countries. While journalism has traditionally prospered on a scarcity factor, the technology of the Internet has created an information-rich society. Its influence will be as profound as Gutenberg’s printing press which affected religion, democracy and the organisation of society. Just as the right of clean air and healthy environment is being seen as a property from which nobody should be excluded, some countries are regarding Internet service as a basic human right. Finland has recognised this by making it a legal right for citizens to have access to a 100 Megabit-per-second broadband connection by end 2015. This is laudable though likely to be outdated by 2015. What cyberspace needs more than democracy is a balanced ecology between culture and commerce. Older media manage such ecologies with varying degrees of success. Newspapers appear to be in permanent decline although the lesson from Fidler is older technologies can survive if they enhance the texture of newer environments. Television still rules despite being the pejorative “idiot box” for “couch potatos” that Postman observed was “amusing us to death”. The computer has not yet inherited the negative cachet of TV twenty years later nor its influence. 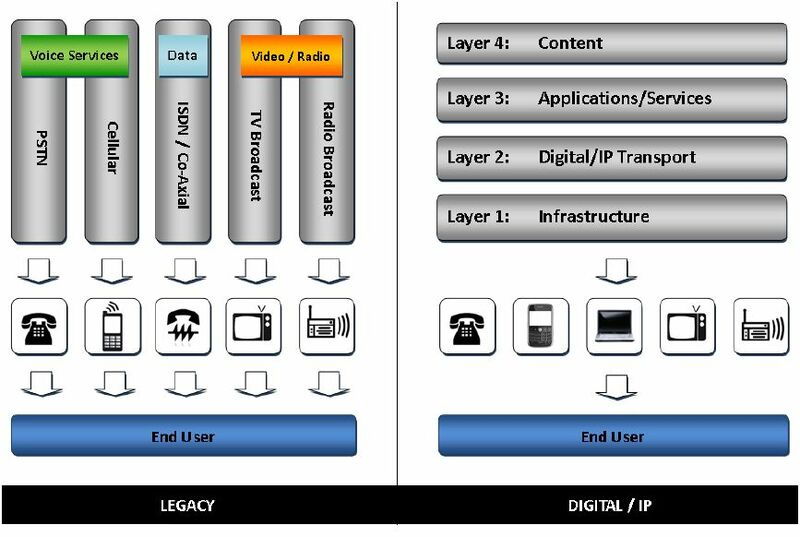 That may change as fast broadband leads the way towards convergence between media. Cellphones are becoming mobile computers as more functionality is packed into these devices. But while the technology to deliver journalism to audiences will undoubtedly continue to evolve, the basic craft skills will remain. Those skills are important in providing a sense-making mechanism that uses available technology to provide content for audiences. These audiences are fragmenting and a “long tail” of niche providers is taking the place of big monoliths. Yet whatever the size of the enterprise, journalists’ first obligation should always be to the truth. They should also retain the core trait of journalism: fairness. While our perception of reality is always only partial, these intangible values have stood the test of time and will retain value in the new economy. Networks of social relationships create social capital which underpins this new economy. Leadbeater called social capitalism “the driving force” behind creativity. But unlike the old economy where individuality and self-interest were critical success factors, social capitalism relies on the ethic of trust and collaboration. As Cambridge University vice-chancellor Sir Alec Broers said “if a researcher is not part of a world technology network, he [sic] is unlikely to succeed”. The era of individual innovation is over. Teresa Amabile says creativity occurs best when people are working on a problem they perceive as important, with a sense of urgency apparent to them and others. According to Cunningham, creative enterprises should increasingly be seen as an integral element of high-value-added knowledge-based emergent industries. Richard Florida says creativity is the most important source of economic growth and investing in creativity is the best way to ensure continued growth. Creativity simply cannot be turned on by tap, it means using both hemispheres of the brain. In Western cultures the left-to-right alphabets has reinforced left-brain dominance, what Havelock called “the alphabetic mind”. Journalists who write for a living are cursed by the alphabetic mind. More right-brain thinking is required to unlock the potential offered by simultaneous operations, understanding context and seeing the big picture. The importance of network externalities cannot be understated. We live in a small world where everything is linked to everything else. Because everything is connected either through technology or culture, connection creates as much value as function. Open source models such as creative commons licensing are facilitating a new Internet business environment which enables a “royalty-free literature” to thrive which enlarges readership, enhances reputation and enables creators to retain copyright of their works. The rise of the network economy has implications. Journalists have taken up social networks like Facebook and Twitter in large numbers. These forums are a rich source of material, contacts and opinions. These networks are living organisms where producers and audiences engage with each other. Because these gated communities blur the line between private and public utterances, journalists need to be increasingly careful of online reputations, both theirs and others. Closed communities add to the breakdown of social cohesion which has led to the proliferation of special interests and an over-valued sense of belonging to narrowly subscribed communities. But the social networks and blogs are revolutionary technologies capable of creating a vast Habermasian space where a public sphere can debate items of wide-ranging importance. As media historian Mitchell Stephens reminds us, none of the existing revolutionary technologies have exhausted themselves. The alphabet has been around for barely 95 generations, the printing press is still expanding, and the electronic media are just reaching adulthood. The effect is “revolution upon revolution upon revolution” in which technology continually outstrips our imagination. Journalists and everyone else must be, as Bauman noted, “fluid” in response. We must be ready to change shape in time, be mobile and weightless. Anthropologist Margaret Mead said no one will live in the world they were born in and no one will die in the world they worked in maturity. 2020 will be a time of profound protean change. A final note in any discussion of the future is the need to ensure there is one. Tough says that humanity has the potential to live for many more centuries “with robust health and happiness” if we take seriously the five most important priorities: understanding world problems, dissemination of that knowledge, improving governance, avoiding catastrophic war, and fostering positive developments. Journalists can play a large role in the creative story-telling that will bringing these priorities to wide audiences in a compelling manner. Chief among these priorities is human-induced climate change. Respected scientists such as NASA’s James Hansen have warned of catastrophic species loss and the inundation of the world’s coastal cities if we do not address the problem. As Hansen bluntly told a newly elected President Obama last year “the planet is in peril”. Science tells us what we need to do. Yet vested interests will always be out there slowing the way. H. G. Wells saw human history as “a race between education and catastrophe”. As storytellers, journalists of the future can play a key role in ensuring that education wins that race. Even Oscar Wilde might not find that outcome too demoralising.